SUNNYVALE, Calif., March 20, 2018 — Full Spectrum, a leading supplier of private licensed broadband cellular data networks, announced today a series of growth initiatives designed to provide additional sales and engineering support for its Industrial Internet customers and markets. 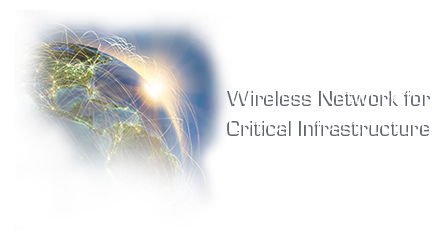 The initiative is in direct response to increased worldwide demand for its wireless Industrial Internet solutions. Full Spectrum has seen a significant increase in demand from its existing customers and a growing pipeline of new business opportunities since the publishing of the new IEEE 802.16s wireless standard in the fourth quarter of 2017. The elevated interest in FullMAX™ technology and IEEE 802.16s solutions spans multiple industries and geographies requiring a major expansion of company resources including sales and engineering support teams, and increased manufacturing and production capabilities. “The IEEE 802.16s standard has been a game changer for customers interested in deploying Industrial IoT applications,” said Guy Simpson, Chief Operating Officer at Full Spectrum. “Given the increased demand for our technology, we are ramping up our capabilities to service customers on a global scale. A key driver for the growth in FullMAX™ technology is the need for wireless backhaul of new low-cost sensor networks (e.g. LoRaWAN technology) and edge-computing data. The Company’s growth plans include an ambitious hiring program to establish high performance operations at all levels. “We are placing a significant emphasis on adding best-in-class engineering talent to support high volume deployments of our FullMAX™ technology,” said Mr. Simpson. “Full Spectrum will also expand its sales and marketing efforts, establishing regional sales offices and value-added reseller (VAR) support in targeted industries spanning electric utilities, oil & gas, water & wastewater, transportation and government and homeland security.